Restoring a tooth has been done by labour-intensive methods dating from the 18th century… until now. 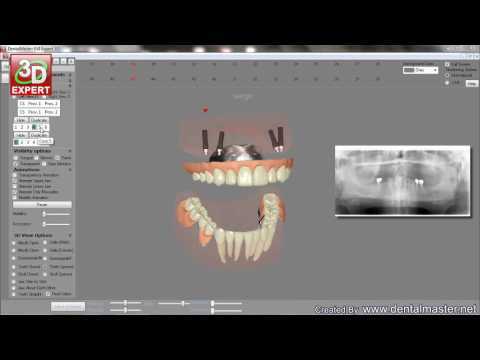 Computers have altered many professions; now it’s dentistry’s turn. Yes, frightened patients will still face the drill. 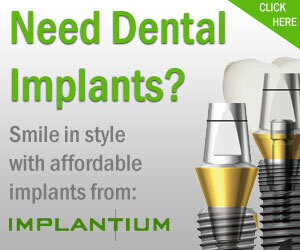 But when it comes to designing and manufacturing a crown, implant, bridge or dentures, computers are beginning to replace painstaking manual methods. The basic design of the typical crown – metal bonded with porcelain – dates from the 18th century. This is a sector ripe for reinvention. Most patients probably have no idea how much individual labour goes into restoring even a single tooth: each piece is bespoke. Take a crown. Traditionally, once the tooth has been prepared, the dentist pours gunk into two jaw-shaped trays into which the patient bites down to create impressions. These are sent off to a lab along with the dentist’s instructions. The finished pattern, embellished with a prong, or “sprue”, is placed into a metal casting ring, which is filled with material called “investment”. Once that’s hardened, heating the ring to 850C burns off the wax, leaving the pattern’s empty shape behind. The ring is mounted in a spinning machine, and centrifugal force pushes molten metal into the empty space, recreating the wax pattern in metal. Knock away the investment, remove the sprue, and there’s the basis, or “coping”, for your crown. From there, the crown is hand-painted with porcelain, first with an opaque layer to blot out the darkness of the metal, and then with successive layers of shades chosen to match the patient’s own teeth. The finished crown is fired at 930C and sent back to the dentist for installation. You hope. Anything destined for a patient’s mouth must be precisely made to within 20 microns. Gaps attract saliva, which can wash out the cement holding the crown in place, turning the gap into a haven for bacteria and decay. But even a lab that can afford lengthy finishing times – Everingham estimates his maximum output at 60 crowns a month – can’t be perfect; impressions may have tiny bubbles or smears. It is these imperfections that computer technology is beginning to address. About 18 months ago, labs such as Creative and nearby Ken Poland, which supplies cosmetic dentistry to the Channel 4 TV show 10 Years Younger, began buying 3M’s Lava system. Poland’s Steve Pope makes the traditional stone model, but then scans the model and creates the coping digitally using a virtual “wax knife” and automated software. When Pope, a former aircraft engineer, builds a bridge on screen, it looks as hard as working in wax; this profession is being reskilled, not deskilled. The data file is sent to a milling centre, in this case, Poland’s own. There, the Lava software takes the file and assigns it to a barcoded block of zirconia. Cured at 1,500C, it becomes a hard, strong material that can be tinted by soaking and to which porcelain will bond. Pope says it’s better than metal: zirconia is bio-compatible and used in hip and knee replacements. The block is placed in the milling machine, and the computer translates the data file into cuts to produce the actual coping. Then the coping is cured for more than 11 hours. From there, the porcelain is applied by hand. Pope is particularly impressed by the software’s ability to calculate precisely how much extra to allow to compensate for shrinkage in the curing process – between 23% and 26%. Turning the image to various angles on his touchscreen, Alper found a hole. He rescanned that section, filled out an onscreen prescription, and sent the file to the lab electronically. Simultaneously, the data goes to a facility that uses it to generate the physical model in resin. The die is sectioned in manufacturing, eliminating the imprecision of saw cuts.